Original black and white photo postcard. 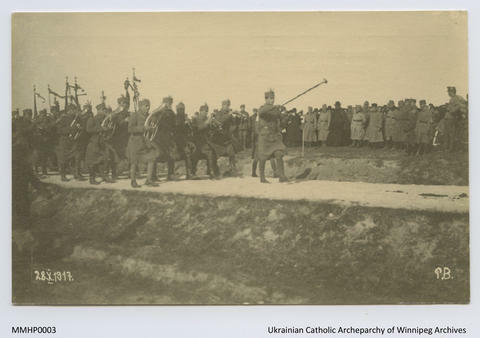 Photo postcard of Sich Riflemen before a crowd of military personnel and Metropolitan Andrei Sheptytskyj, Ukraine, October 28, 1917. Black and white sepia-toned print; date written on front. Identifying information on the back.